Have also seen his name spelled Veikko. According to the 1940 census Weikko's wife Olive was living with her three children in Ontonagon County Michigan at her mother's home. 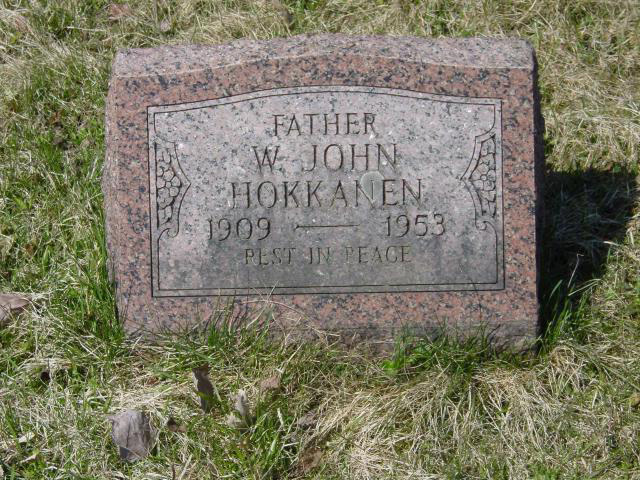 The 1940 census has Weikko (John) living with his parents in Ontonagon County Michigan. On 11 Jan 1943 Olive and Weikko were divorced.